The occasional rainy weather during our Venice trip made for great umbrella pictures! This lady had remarkably found a comfortable spot to dream and contemplate life right next to the San Zaccaria water bus stop. She’d done well, because San Zaccaria is always thronging with tourists on their way to Saint Mark’s Square or waiting for a gondola ride. I imagine she might have been on a trip around Europe. If so, I hope she had a wondeful time. 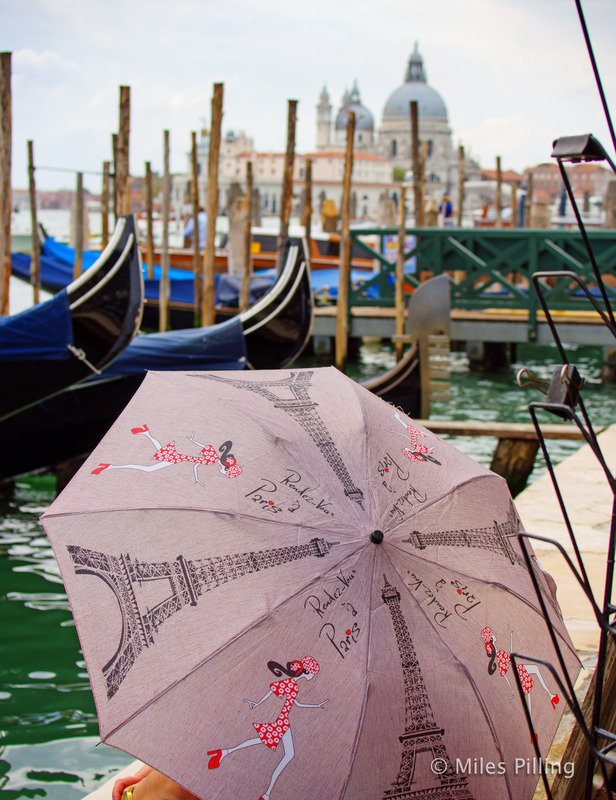 The juxtaposition of her Parisian umbrella surrounded by the beauty of the Venice waterfront made me smile. I hope it does you too.